Let us help you get the most out of your bike. 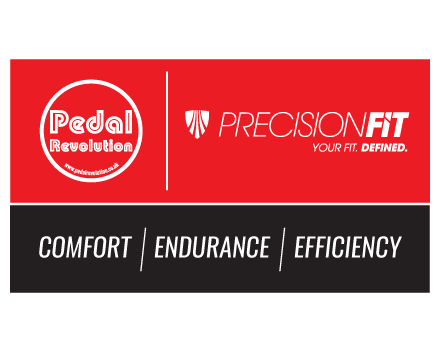 Whether you’re new to cycling, looking at moving to cleats for the first time, participating in your first cycling event, suffering from on-the-bike discomfort, an experienced cyclist or looking at refining your position for performance efficiency, we have a Precision Fit suitable for everyone! 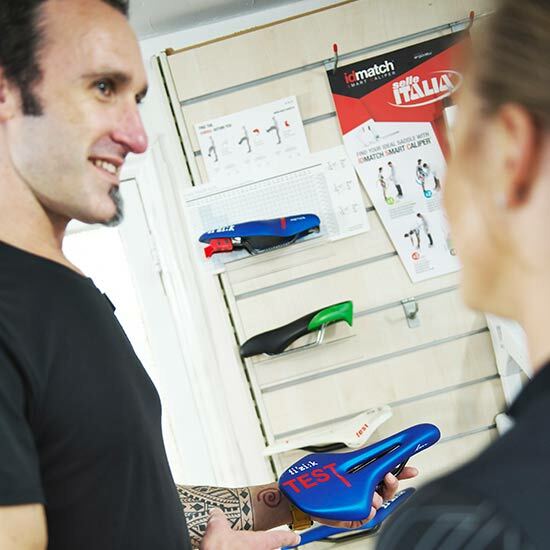 From our basic Set-up & Go fitting service through to the Platinum Precision Fit, our qualified Precision Fit Technicians can help you get more miles out of your ride by optimising your ride position. A Precision Fit will ensure that you are riding as effectively as possible, whilst increasing efficiency and greatly reducing the risk of inury, pain and discomfort. Using your own bike, a Precision Fit will enable it to be set-up it in the right position for you as an individual. Our hands-on approach using the same Trek Precision Fit principles and theories as used by the Trek Segafredo Race Teams, we will ensure you are in the optimum position for your bio-mechanical ability. Using equipment such as laser levels to check alignment, goniometers to check angles, the Bontrager Saddle Sizer and the Selle Italia idmatch Smart Caliper for pelvis analysis, the Bontrager inForm BioDynamic Arch sizer and Selle Italia ismatch cleat fit system for lower leg and foot assessment along with the GebioMized PadFit system, our Precision Fit Services will ensure a precise and accurate fit, appropriate to each individual rider to help you perform to your full potential. As well as our bike fit packages, we also offer cleat alignment services as well as a comprehensive saddle assessment service. From our basic Set-up & Go fitting service through to the Platinum Precision Fit our qualified Precision Fit Technicians can help you get more miles out of your ride by optimising your ride position. New shoes? New cleats? Our qualified and knowledgeable Precision Fit team will help you take the guesswork when it comes to the perfect alignment between foot, shoe, cleat and pedal. We have the knowledge and the tools to help not only find the perfect saddle, but ensure that you and your seat are perfectly aligned so you can fully enjoy those long days in the saddle. This service is a quick measure-up and check of your current rider position. We’ll make basic height adjustments to key areas of the bike such as seat and bars. The service is aimed at the novice, low mileage rider, to improve comfortability and injury prevention. The Set-Up Check service can be performed by one of our staff members at any of our three stores. The check can be carried out without an pre-booked appointment during quiet store hours. If you have any pre-existing injury concerns or complications, or are looking to increase your mileage then we recommend one of our Precision Fit Packages. Our Bronze Precision Fit service is aimed at the novice rider who is looking to refine their riding position to get a little more out of their bike and making the transition to cleat/pedals for the first time. To improve comfort, performance and injury prevention – we will examine saddle and bar height and position, foot and knee placement and body mass rotation. This service is available at any of our three stores and is appointment only. When arriving for your bike fit appointment, please bring suitable cycling wear (cycle shorts and shoes are minimum requirement) – and your bike too! PLEASE NOTE: Full payment is required at time of booking. Cancellations are non-refundable. Appointments can be rescheduled providing 24 hours notice is given. The Silver Precision Fit package is aimed at the more experienced rider who maybe has a goal in mind whether is completing their first sportive or just looking to increase distance. It is also recommended for riders who may be experiencing the first signs of cycling discomfort but is relatively injury free. 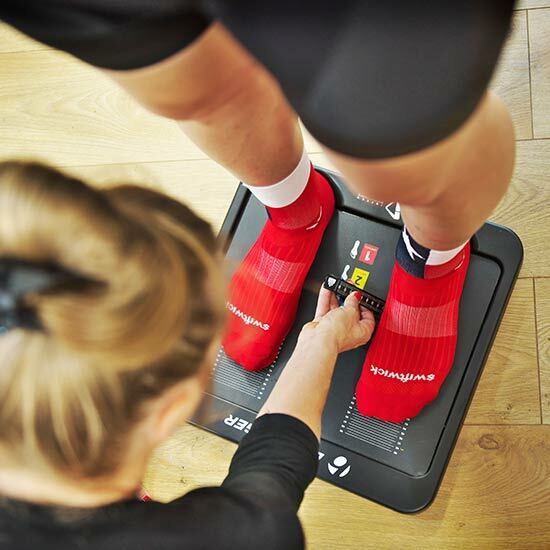 Our fully trained Precision Bike Fitters will carry out the same checks as the bronze package using digital and lazer measuring equipment, while also looking at cleat position, pelvic posture and saddle assessments (using Bontrager Saddle Sizer and Selle Itallia Idmatch equipment). This service is available by appointment only at our Norwich store. During this comprehensive three hour long session, you will be provided with an extensive analysis of all aspects of your riding position. It is designed to improve comfort, pedalling efficiency and to eliminate any bike-related discomfort. It is highly recommended for any rider that has any kind of substantial injury history which may affect their alignement and posture and/or is suffering from significant on-the-bike discomfort. All checks included in the Silver package will be applied along with a full physical assessment, posture analysis, GebioMiuzed™ saddle pressure mapping, Bontrager foot bed assessment and cleat alignment. After the appointment you will be emailed a full report with pre and post fit photos and details of all measurements taken. Our Platinum Precision Fit package is especially for Time Trialists or Triathletes. This object of this fit is to get you as aerodynamic and comfortable as possible. This extensive fit session will include all the checks that are included in our Gold Precision Fit package along with an additional upper body assessment an aero TT cockpit analysis. This service is recommended for anyone who is riding a TT/Triathlon specific bike or road bike equipped with clip-on aero bars.